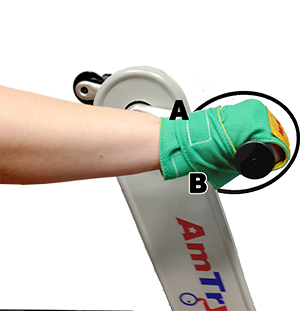 Wrist wraps help maintain riders’ hold on hand grips or handlebars. 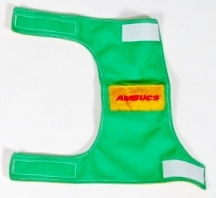 Pair of soft washable cloth wraps secure around wrist with hook and loop closure. 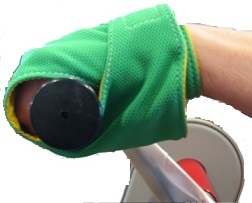 Size is determined by measuring from A (top side of wrist bone) around the hand to B (bottom side of wrist bone). Ask rider to hold a broom handle or a few adult fingers while measuring. Round up when measurement falls between sizes.